As the court sessions get under way, the property mogul and his defence will need to prove that his wife committed suicide by hanging herself. 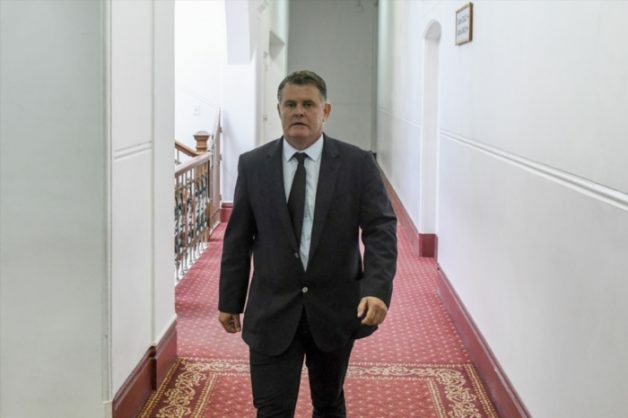 Today Jason Rohde continued to argue that his wife Susan’s death was a suicide while still saying he “responsible for her taking her own life” through his adultery. “I can look at my children in the face knowing that I didn’t kill their mom,” he said. Rohde continued that while he was guilty “of being an adulterer” and having “destroyed the lives” of his three children, he was no murderer. According to testimony given by Rohde earlier in the week, his infidelity caused their relationship to unravel. Susan discovered he had not been faithful in February 2016, when she found a Valentine’s Day card in his overnight bag on his return from a work trip to Cape Town. Rohde testified that his spouse became obsessed after learning of his affair with a colleague. He said that resulted in constant marital conflict. Rohde told the court his wife was devastated when she learned of the affair and wanted to know every detail. He claims to have stopped the affair in an attempt to save their marriage, but admits to rekindling it a few months later. The accused claims that his infidelity caused her to hang herself. “She couldn’t believe what I had done to her,” he said. He also claimed he told her he would be divorcing her a short while before she allegedly committed suicide. Rohde and his defence will need to prove that his wife committed suicide by hanging herself with a hair-iron cord, a difficult task since the state, which believes he murdered her, have as evidence a strong postmortem report that suggests she was strangled rather than hanged. Severe bruising also seemed incompatible with the defence’s story of suicide. Also, the postmortem suggested she swallowed large quantities of blood in her last hours alive, caused by blunt force trauma on the right side of her chest. In an effort to counter this evidence, Rohde’s defence team, led by senior advocate Graham van der Spuy, has meticulously combed through the postmortem report in search of any inconsistencies, and has attacked both state pathologists present at the postmortem examination. Susan was found by Rohde in their Spier hotel bathroom with the cord loose around her neck and around a towel hook behind the bathroom door. The state is also accusing Rohde of obstructing the administration of justice. The accused’s lawyer at the time of his wife’s death, Noorudien Hassan, is no longer alive. He was shot several times while in a car outside his home in Lansdowne in late 2016 in an incident that is believed by some to be linked to gangsterism in the Western Cape.